It’s easy enough to see how a colonial authority may suppress the identity, the activities, the self-respect and the spirit of the cultures it colonizes. What is less obvious is that colonial powers often employ a divide-and-conquer strategy that leaves indigenous cultures fighting each other. Even more subtly, colonizers or occupiers tend to want to deal with subgroups they see as familiar or friendly — resulting in a system or privileges and preferments that may be perpetuated for centuries. 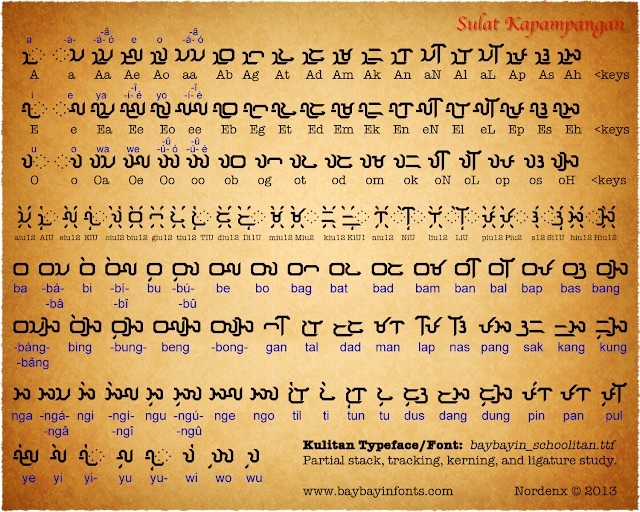 A case in point is Kulitan, a script used for writing Kapampangan, a language spoken mainly in central Luzon. 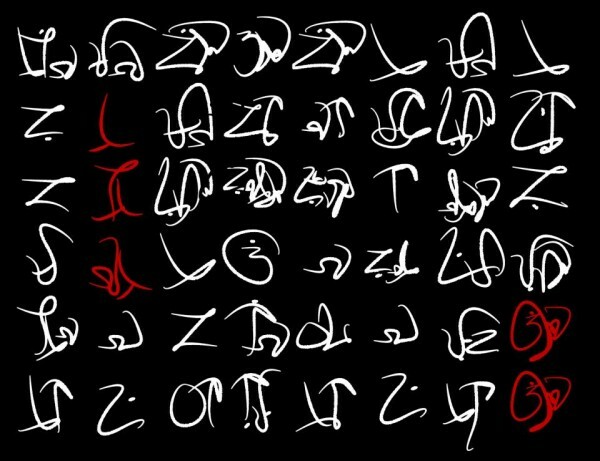 The script, probably one of a family of scripts that arrived in the islands from south Asia, predated the arrival of the Spanish by as much as 200 years. As such, it also predated the Philippines as a construct, for the word and the idea are a colonial creation, a grouping of possessions that had previously been separate entities, renamed after a Spanish king. 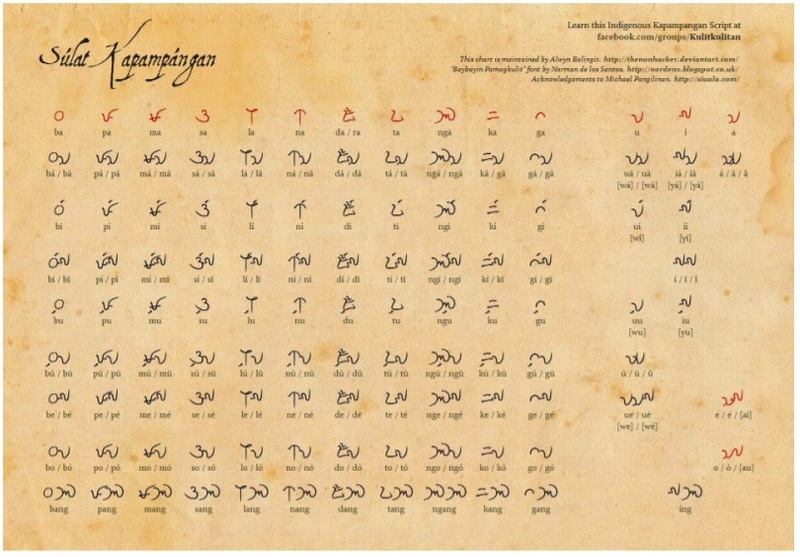 The Spanish not only collectively lumped all the islands and their various ethnicities and histories (including their languages and scripts) under a convenient and centralized single identity — by situating their new capital, Manila, in southern Luzon, they created a de facto preferred status on the language of that region: Tagalog. 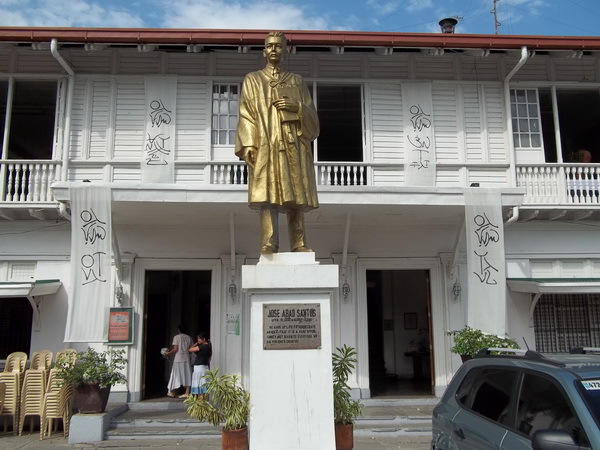 Tagalog flourished so well under colonial rule that it survived a switch in colonial occupation: under Manuel Quezon, president of the 1935 Philippine Commonwealth under U.S. Occupation, the idea of a Filipino Nation based on Tagalog was conceived. From then on, anything “Filipino” and “national” was understood to mean “Tagalog.” English and Spanish were considered official languages under the Constitution, but Quezon and his cabinet however secretly prepared for the creation of a Tagalog-based Filipino nation should they gain independence during their term. 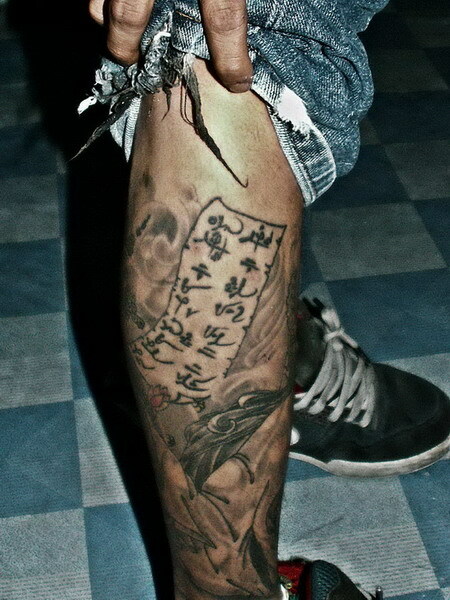 Under these circumstances, it is hardly surprising that the other languages and scripts of the islands languished. Kulitan, in fact, became a medium of protest. The script was revived and revitalised by Kapampangan writers led by Aurelio Tolentino to write anti-Spanish propaganda during the Philippine Revolution of 1896, and anti-American propaganda during the Philippine-American War and in the early years of US occupation. More recently this anti-colonial role was repeated in the 1980s and 1990s, particularly in the hands of Edwin Navarro Camaya and Michael Raymon Pangilinan. 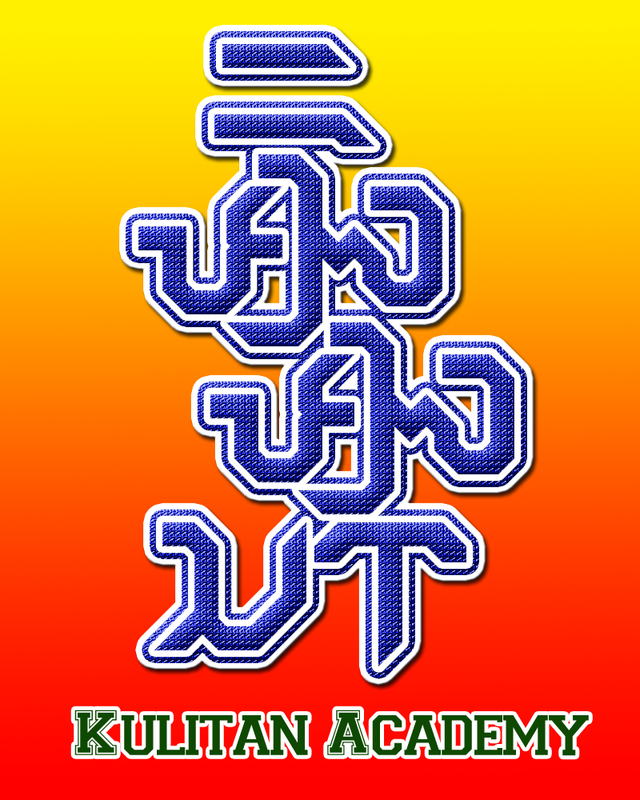 In 2008, a group of young writers led by Eliver Sicat, John Balatbat, Max Rosales and Bruno Tiotuico formed the Ágúman Súlat Kapampángan so as to promote the teaching and usage of Kulitan. 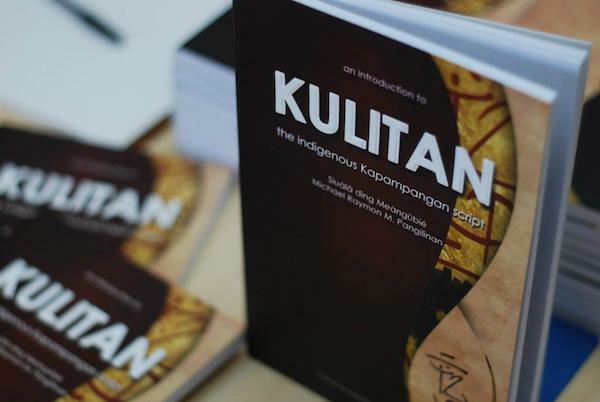 “A basic Kulitan class and two advanced classes are being taught every month,” Pangilinan said, “at Sínúpan Singsing (Center for Kapampángan Cultural Heritage) at the Angeles City Library & Information Center at the Heritage District in Ángeles City.